Pizza Fun Lunch is a fun hot lunch tradition at Hubbard Woods and one of our largest PTO school fundraisers. Offered typically every other Friday to grades K-4, Domino’s cheese pizza is served, including a Gluten Free option for children with allergies. The lunches are served in 2 and 4 slice options and include a piece of fruit or healthy snack. Kiddos lunch service is not available on Pizza Fun Lunch days. 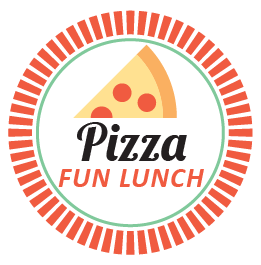 Pizza Fun Lunch is a one-time lump sum sign-up at the beginning of the school year included in the school form packet that should returned with your child on the first day of school. Sign-up by the week is not offered and we cannot provide a refund for a missed week. We depend on parent/care giver volunteers to help set up and serve pizza on set Fridays from 11:15 am-12:30 pm.